There is a $400 non-refundable deposit required to hold a RagaMuffin kitten. The deposit will be deducted from the total adoption fee. 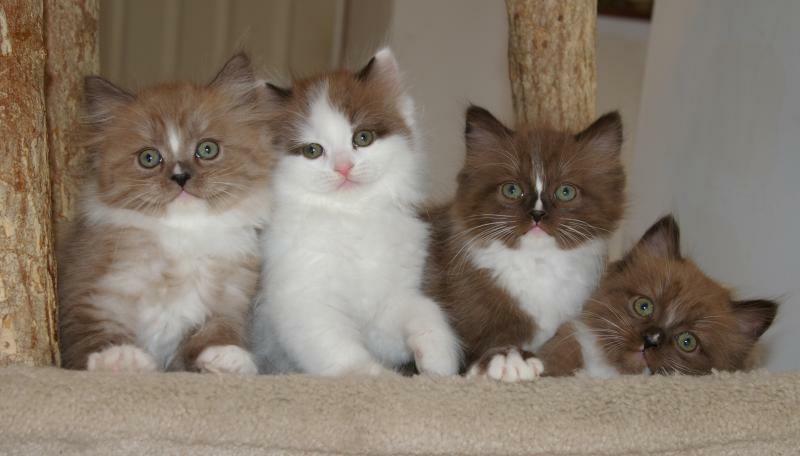 A RagaMuffin kitten is not reserved until we receive your deposit. Please remember we may be talking to more than one person about the same kitten. Available kittens will be placed in the order in which deposits are received. The full price of the kitten must be paid two weeks prior to shipping or on the date the kitten is picked up. For your convenience, payment of deposits may be made through our PayPal account. If you change your mind prior to delivery, please understand that we have turned down other potential purchasers, so although your deposit may be applied to a kitten in the future, there are no cash refunds of deposits. If payment has been made in full, you may apply the purchase price toward a RagaMuffin kitten in the future, but there are no cash refunds. Provided that all above requirements have been met, please feel free to ask us any questions you like ahead of time to be sure you want to adopt one of our RagaMuffin kittens. We pride ourselves on raising well-socialized, healthy RagaMuffin kittens and we want to be sure they go to homes where they will be loved and spoiled forever. For Kitten prices, please call or email for details. They are available on a first come first serve basis. Kittens are available to go to new homes at 16 weeks of age. Our kittens go home fully vaccinated with age appropriate vaccines, are spayed or neutered, and have been microchipped. All breeding cats have tested FeLv/FIV negative. 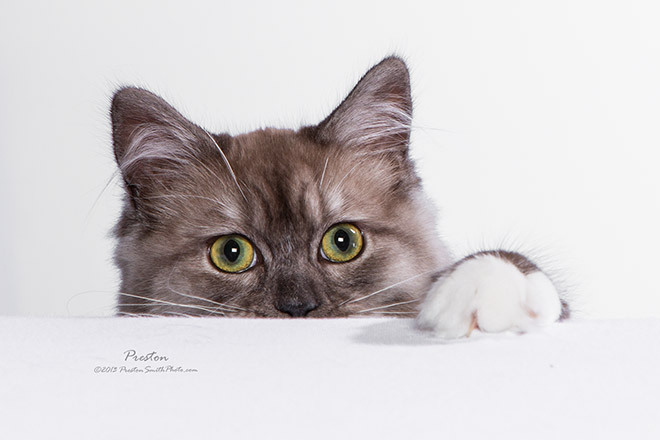 We also do genetic testing, and all breeding cats have tested negative for Ragdoll HCM, PKD1, and several other testable genetic diseases the plague the feline species. This testing does not guarantee 100% that they do not have HCM or PKD, as there are many unidentified strains that genetic tests do not recognize. 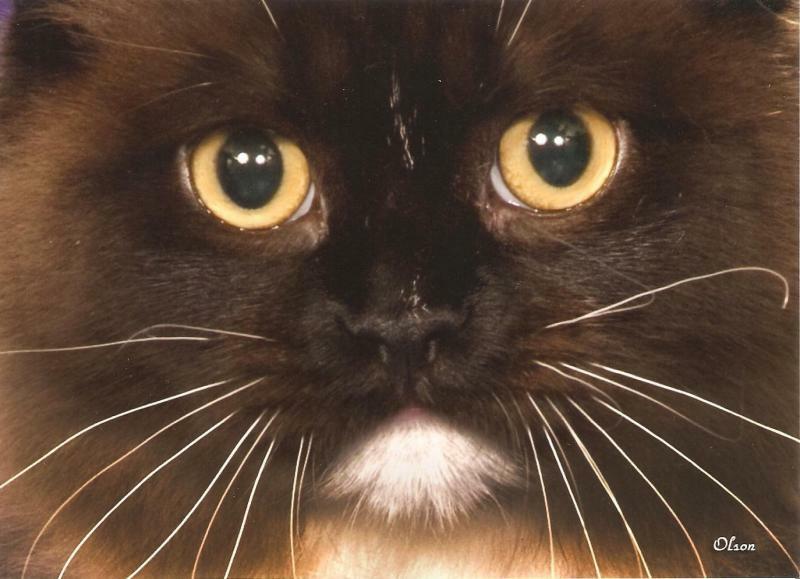 We also do ultrasonic scanning on breeder cats hearts and kidneys to further detect any problems. Until technology makes gains this is everything that can be done to ensure healthy cats! ﻿We reserve the right to decline anybody's application at our discretion. We do screen buyers and ask for a veterinary reference. Some kittens may be withheld for breeding programs and will not be available for adoption. This can not always be determined right away. Typical age to choose your kitten is at 8 weeks old. This gives us time to assess not only potential show quality cats, but also the personalities of the individual kittens to better place them in suitable homes. We are located near Aberdeen, SD and welcome you to our home to visit and pick up your kitten. Shipping in the USA is available for $400. International Shipping varies. Our kittens are registered with ACFA and/or CFA. They come home with registration papers. We provide a 5 year written health guarantee from fatal genetic diseases. We do not allow our kittens outdoors, as they do not have the survival instincts of outdoor cats. We do not allow de-clawing. Kittens are trained to use a scratching post and new homes should be equipped with them before bringing the kitten home. Declawing can cause irreversible damage to your kittens health and well being. And may result in, lamness, arthritis, and behavioral issues such as but not limited to aggression and inappropriate urination. Perspective owners have to sign a written contract agreeing to the terms. Any Breech of Contract Voids Health Guarnatee. 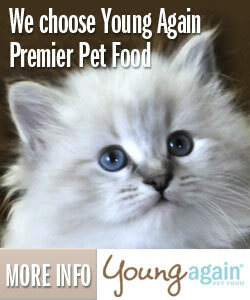 We feed our RagaMuffin Kittens Young Again, to place your order Click Here. Use the promo code 213673 during check out for a 10% discount on your first order! Good nutrition can help your cat live a longer more healthy life. If you would like to make a deposit on a RagaMuffin kitten using a credit card, please click here to use paypal, a secured website. Deposits are Non-Refundable and can be placed on future litters. Here is a good link to an article on why we wait until kittens are older. It will help you understand and hopefully appreciate this decision! Copyright 2018 Imperial Rags RagaMuffin Kittens RagaMuffin Cats. All rights reserved.